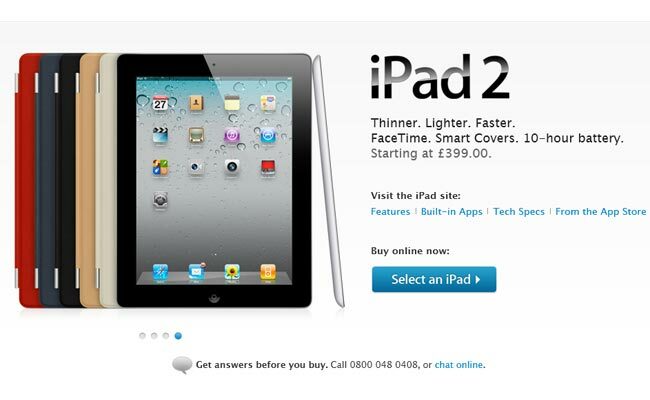 It looks like Apple has already added the new iPad 2 to its UK Apple store, as you will see from the photo below, it shows a button with ‘select and iPad’ and the phrase buy online now. 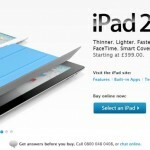 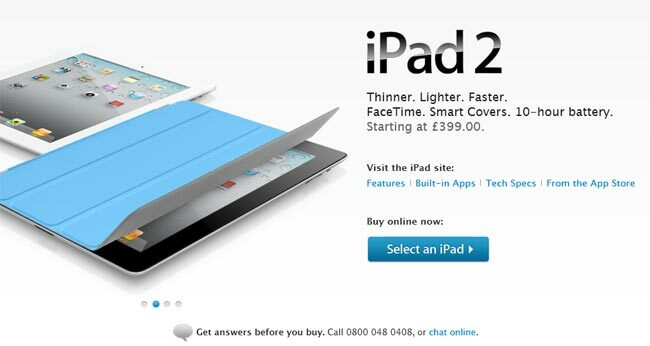 Unfortunately it doesn’t look like you can actually buy an iPad 2 just yet, it is expected to go on sale on Apple’s online store at 1AM in the morning tomorrow, and you will also be able to buy one from Apple stores around the UK from 5PM tomorrow the 25th of March. 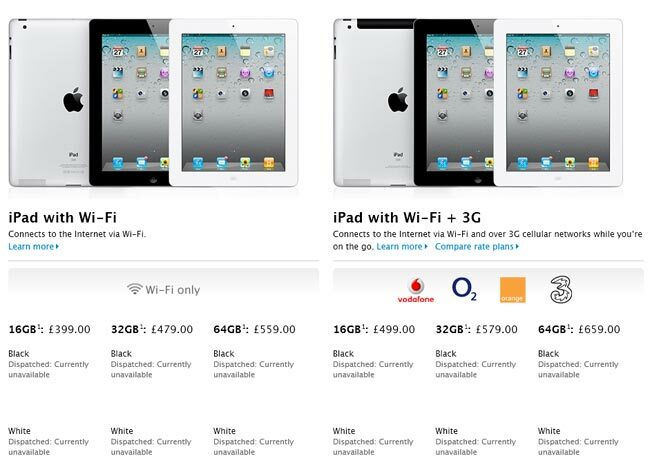 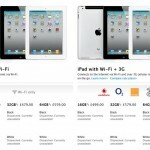 The iPad 2 in the UK starts at £399 for the 16GB wiFi model, £479 for the 32GB WiFi model and £559 for the 64GB model, prices for the 3G and WiFi iPad 2 start at £499 for the 16GB model, £579 for the 32GB model and £659 fpr the 64GB WiFi and 3G model, you can find out more details over at Apple. 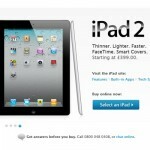 Apple has now revealed the iPad 3 which is sold along with the iPad 2, have a look at our iPad 3 vs iPad 2 guide for the differences between the two tablets.